The socio-political theories and history of National Socialist Germany during the Third Reich (1933-1945). Includes domestic and foreign policy, cultural renewal, and post war studies of all non-military aspects of NAZI theory and practice. The political and intellectual influences of Adolf Hitler and the NSDAP as they impacted Germany and the world. G aged war era paper stock, sunned spine, rubbed cloth $10 C/B V Gollancz 1940 (11th impression) cloth, 319pp. Author was daughter of the Ambassador and attended many functions and new most of the Nazi hierarchy quite well. Although by no means pro-Nazi she admits that many were charming and seemed perfectly normal. The Secret Report by His Two Closest Aides. John Murray 2005, 370pp + plates. 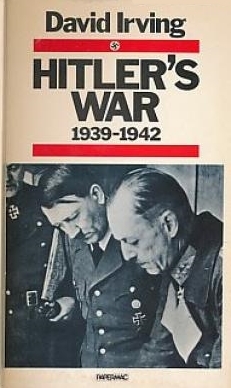 The first half of Irving's monumental work on Hitler as a military strategist. 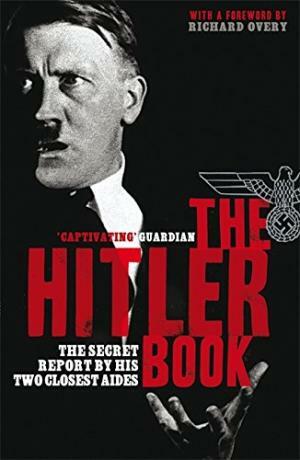 Based on (at the time) newly uncovered Nazi documents, showing the campaign from Hitler's own perspective. Irving's meticulous research shows in this detailed study of the war from Operation White in Poland to Stalingrad. MacMillan Papermac 1983 first thus edition, xxxiii 449pp + bibliography, notes and index. MAISKY Ivan Who Helped Hitler? McKENZIE Vernon Here Lies Goebbels!